Volkswagen's 1.4-litre TSI petrol engine has won the "Engine of the Year Award" for the seventh consecutive time in the 1.0 to 1.4 litre category. This makes the 1.4-litre TSI the most successful engine in the 15-year history of this international competition. Moreover, the German automaker received the coveted "Best New Engine Award" for its TSI technology in combination with automatic cylinder deactivation (ACT). This award honours the best engine innovation of the past 12 months. 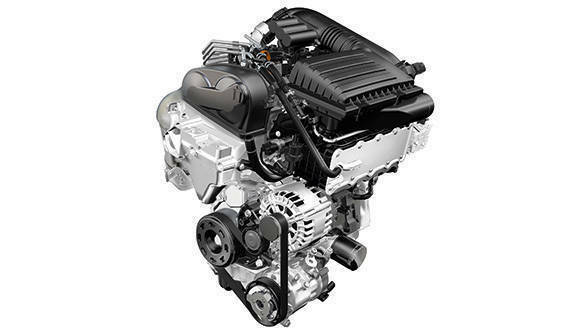 Since 2006, Volkswagen has been awarded 12 times from the "Engine of the Year" jury for the constantly improving 1.4-litre TSI engine with the internal designation EA 211  seven class victories, two overall victories, two "Best New Engine" awards and one "Green Engine of the Year" award. The committee, which is made up of 87 international trade journalists, has given the TSI technology a historic number of victories. At the same time, Volkswagen is launching into a new era of engine production with its latest innovation - the TSI with ACT cylinder deactivation. Volkswagen was the world's first car manufacturer to use active cylinder management (ACT) in the TSI four cylinder last year. This technology made its way first in the Polo and Golf 140PS 1.4 TSI. Temporary shutoff of the second and third cylinders  in combination with an economical style of driving  reduces fuel consumption by over 0.5 litres per 100 kilometres. Fuel consumption and CO2 emission values were reduced by nine per cent in part by using various measures such as reducing friction, lowering weight and optimising thermal management. Volkswagen is the global leader in charging strategies for engines with direct fuel injection, and to date it has produced over 3.8 million TSI engines at five production sites worldwide. The 140 PS TSI with automatic cylinder deactivation (ACT) is currently available in the Polo and Golf. In India, the 1.4-TSI is available in a detuned state in the new Jetta.